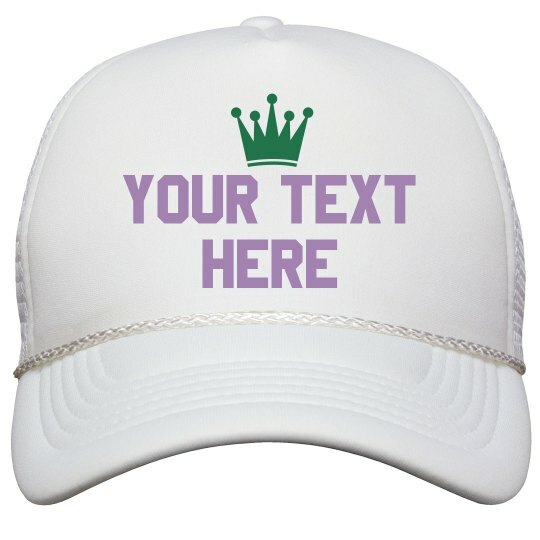 Customize this fun hat for a special occasion that's coming up, or just because! Add your own personalized message to the front to make it that much more unique. The green and purple theme is great for Mardis Gras, too!